← WIP Wednesday: Bright and Colourful! 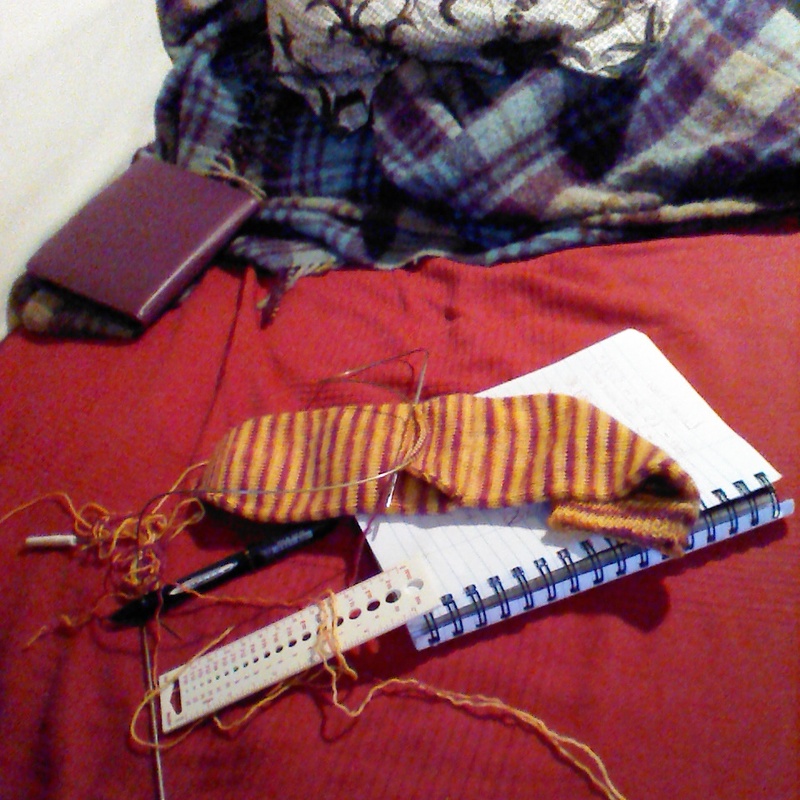 Since last week, I have an almost-complete stripey sock! Yet as I write I am fortifying myself with tea and chocolate, as I’ve just had to unpick the grafting of the heel in my first bout of sock surgery-Argh! 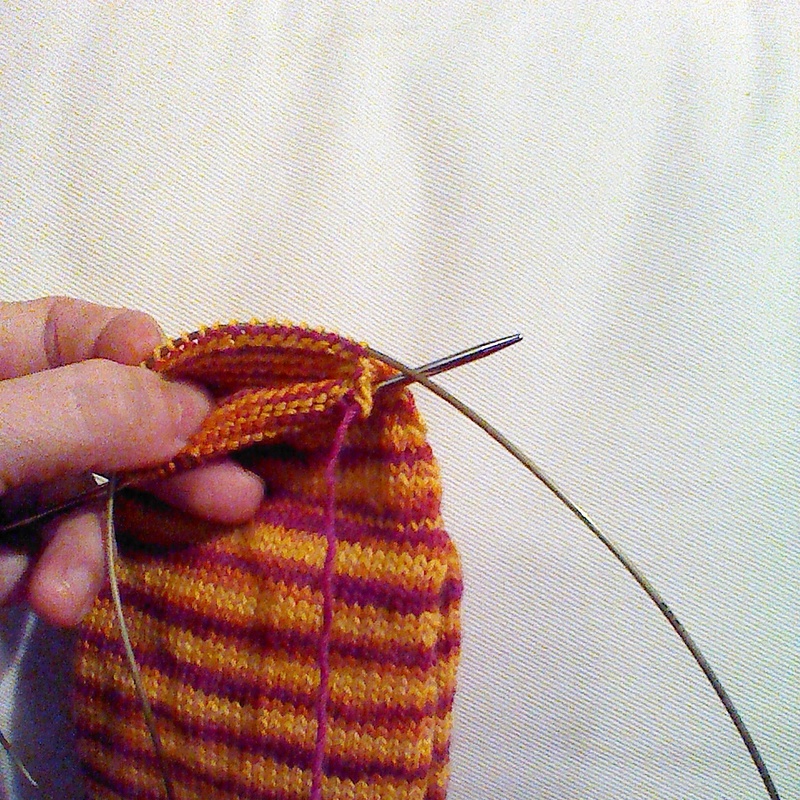 I am getting pretty confident at my sock maths now, but thinking I’d be really clever adding in extra rows to match my foot length, it’s kind of backfired on me. Instead of a beautifully fitting sock, I ended up with pointy flaps hanging off the back of my heels. Oops. So now I’ve taken out 8 rows, which I’ll kitchener back together again to finish off the sock. This is the brilliance of doing an afterthought heel, as you can just rip it back and redo it if required. It’s also handy for repairing socks with holes in the heel! 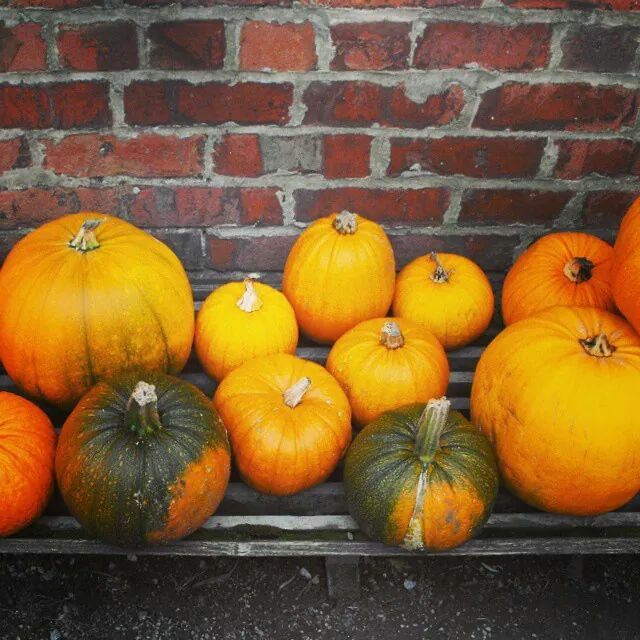 The pumpkins were part of a display at the fantastic Quarry Bank Mill , a working textile museum near Manchester. Well worth a visit if you’re in the area! This entry was posted in Knitting, WIP Wednesday and tagged #GGKCRAFTYPAD, Afterthought Heel, Autumn, Craft, Efterår, Fall, Garn, Geeky Girls, Håndarbejde, Knitted Socks, Knitting, Photo challenge, Pumpkin, Quarry Bank Mill, Strik, Wool, Yarn. Bookmark the permalink. Love the pumpkins and the stripy socks.